The public inquiry into patient safety at Ontario's long-term care homes has resumed and is hearing closing submissions from the Health Ministry and a company that operates a home where disgraced nurse Elizabeth Wettlaufer once worked. The public inquiry into patient safety at Ontario's long-term care homes is hearing closing submissions today from the coroner's office and a company that operates a home where disgraced nurse Elizabeth Wettlaufer once worked. The inquiry in St. Thomas, Ont., was called to identify gaps in oversight that allowed Wettlaufer, 51, to kill eight people and harm six others while working in nursing homes in southwestern Ontario from 2007 to 2016. Wettlaufer confessed to her crimes last year and was sentenced to life in prison. This week's closing submissions will cap off the four-month public portion of the inquiry. Tuesday's submissions began with a session from Revera Care Inc., one of Canada's largest care home operators. Revera also owns Telfer Place, a care home in Paris, Ont., where Wettlaufer worked off and on between February 2015 and April 2016. Wettlaufer tried to kill a Telfer Place resident who survived the attack. Revera lawyer Jennifer McAleer said government underfunding of care homes is compromising care. "The homes need additional funding to ensure proper levels of care for residents," she said. "The current model strains resources and doesn't meet current needs." McAleer also said the way long-term care homes are inspected needs to foster an environment of collaboration and compliance. She said inspections add stress to care home staff already dealing with increased workloads and residents with increasingly complicated care needs. Representing the office of the Chief Coroner and the Ontario Forensic Pathology Service, lawyer Rita Bambers spoke about the two times coroners were contacted about deaths of residents later connected to Wettlaufer: Maureen Pickering and James Silcox. The local coroner must be notified of every death in a long-term care home but it's up to the coroner to determine whether the death should be investigated. Pickering, 79, died in March 2014 at Caressant Care in Woodstock, Ont., after Wettlaufer injected her with a massive amount of insulin. Silcox, 84, died in 2007 and was Wettlaufer's first victim. Local coroner Dr. William George did not flag either case for an autopsy. In her submission today, Bambers said the Pickering case was a "missed opportunity" but said it's not certain that full autopsies in either case would have uncovered the deaths to be the result of homicides. Bambers cautioned against changing the death investigation system in a way that would presuppose all deaths are suspicious. She pointed to the Goudge inquiry, which reported in 2008 after looking at how deaths of children were investigated. The inquiry looked at cases where people were falsely accused of child abuse due to faulty evidence from pathologists. Bambers said that "thinking dirty" — assuming intentional wrongdoing at the outset of an investigation — led to false conclusions. To avoid repeating those mistakes, Bambers said forensic investigators must stick to a fact-based approach that doesn't presuppose any wrongdoing. "The overzealousness to catch child abusers led to policies that created harm," she said. "Those parents wrongfully convicted had innocent children taken away from them. We do not want to revert to thinking dirty because it could lead to bad policies. We need to improve the system with an open mind and think truth." Bambers's submission also said she believes there's no evidence to suggest that going back to so-called "threshold death" investigations, in which every 10th death at a care home was automatically investigated, would have helped helped catch Wettlaufer. The province abandoned the practice of investigating threshold deaths in 2013. "Given that investigating every 10th death would follow a predictable pattern, it would not act as a significant deterrent for anyone in the long-term care homes setting who intends to cause residents harm," she wrote. She instead suggested the province continue work already underway to develop a data-based reporting system that could flag a series of deaths that form a suspicious pattern. The inquiry has already heard that Wettlaufer was a lazy nurse who made frequent errors, but was allowed to continue working, at least in part, because it's difficult to recruit and retain registered nurses. Any recommendations coming from the inquiry are non-binding, which means it can't force care facilities to adopt or change practices and policies. 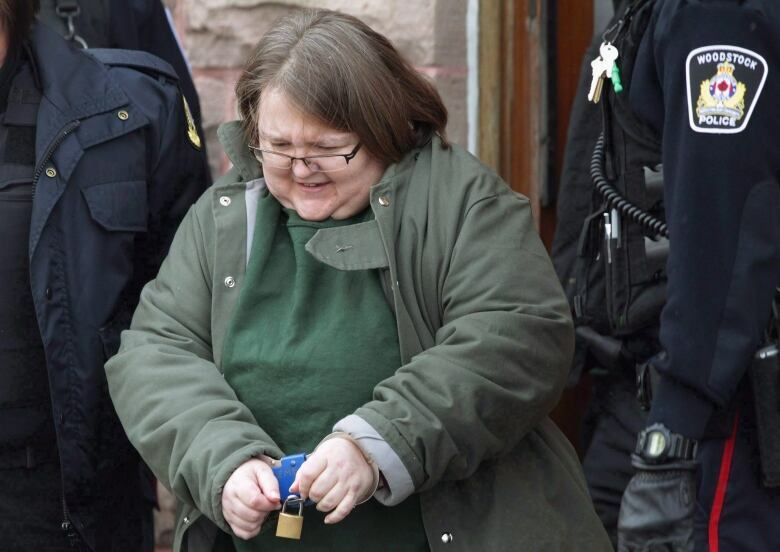 Closing submissions will continue to be heard in the coming days, including from the other long-term care facilities where Wettlaufer worked, the coroner's office, the Ontario Nurses' Association, the College of Nurses of Ontario and the Registered Nurses Association of Ontario.